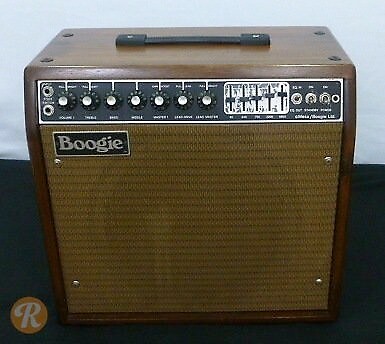 After phasing out the original Mark I combo, Mesa Boogie introduced a series of Mark II amps between 1978 and 1985 (when the Mark III launched). The Mark II was much like the Mark I in design and layout but with somewhat different circuitry. The Mark series progressed from the regular Mark I to the Mark II A and Mark II B, and then to the Mark II C and C+. The Mark II C+ is generally considered the most desirable.